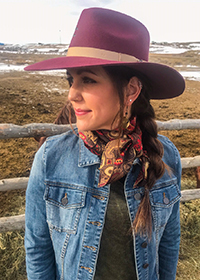 Prairie Wife (PW): The following is an introduction written by the friend who nominated Katie for our You Pick-Prairie Wife of the Week. I am thrilled to be able to share this story of home birth with our readers. As a Prairie Wife (and mother of four) I firmly believe in a woman’s right to have the birth experience she wants. I choose to have my children in a hospital but, I am so thankful that we are making it both safer and easier for women to give birth at home. Katie and I met on our first day of Spanish class at Black Hills State University. We immediately began a conversation, and I learned that she had just returned from a year-long foreign exchange experience in Brazil. I became immediate friends with this creative, social, and stylish young woman who appreciated language, culture, and the arts. All of what I appreciated about her then, I recognize and admire in her mothering style. Katie has learned to incorporate her uniqueness into her mothering. When I learned about her decision to have a home birth, I was not surprised. Don’t get me wrong; Katie isn’t a person you would look at and stereotype as a granola, home-birthy, all natural mother. I just recognized her appreciation of nature and the simple things in life. 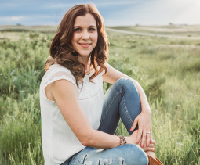 I am proud of my friend for who she is as a woman and mother, and so pleased that she was chosen for this week’s Prairie Wife! PW: First tell us a little bit about your family. 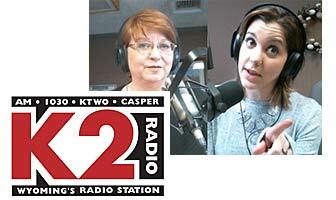 K: My husband and I have been married 8 years and we have two girls, ages 7 and 5, and a two year old boy. My husband works in finance at a car dealership and I am a stay home mom, though I have a degree in English. I am also a MOPS co-coordinator at my church, which is another passion of mine. I live in a University town in Iowa, so we enjoy some of the amenities of a big city, while keeping the feel of a small community. I enjoy taking pictures and I have a small blog called Simple and Special that I write mainly for friends and family, but feel free to stop by! PW: What happened with the births of your first two children? K: My daughters were both born in a hospital in South Dakota, with the midwife that was an employee of the hospital. In preparation for my first daughter’s birth, I read every birth book imaginable and attended Bradley birthing classes (which is a lengthy and exhaustive 10 week course). Throughout my pregnancy I had gestational diabetes. Luckily I was able to keep it controlled with diet. When I went 10 days past our midwife and the hospital decided to induce me, because they were concerned for both the baby and I. Though neither of us was showing any signs of distress, I agreed with their decision. As I reflect on the situation, I realize that I had become overwhelmed with all of their concerns and opinions, and I feel like this is when I lost all control over my birth experience. I had no pain meds and after 7 hours I held my happy healthy daughter in my arms. When I was pregnant with my second daughter I had gestational diabetes again, and I was able to control it with diet. We went in for a check up on her due date, and the midwife decided to do an ultra sound. The ultra sound led them to believe that she was over 9lb and they felt that it was best to induce me. I was anxious and stressed because I felt that once again everything was rushed, and my voice wasn’t being heard. I was also disappointed; I had chosen a midwife to keep things as close to how nature intended babies to be born. But, because she was an employee of the hospital, she was still greatly influenced by them and forced by their policies. I once again felt overwhelmed by their opinions and agreed to be induced. When I reflect on her birth, I feel that the induction was more about their convenience (it was close to Christmas) than about my safety. My second daughter was born approximately 7 hours later and was a healthy 8lb 3oz. PW: What led you to decide to have your third child at home? K: We moved to Iowa during my third pregnancy. I began to see the midwife at the hospital like I had done in South Dakota. This pregnancy I did not have gestational diabetes, and I began to think maybe things could be different this time. I felt like maybe this offered me the chance to make more choices. I started to research home births as a possibility for me. I liked the thought of me being more in control and I wanted my voice to be heard. I found a local midwife on-line and interviewed her on the phone and in person. After the final interview my husband and I felt like the midwife was on the same page as us, and we decided to go ahead. PW: How did your family and friends react to your decision? K: There were definitely mixed reactions. Even my husband had some concerns. My brother is a doctor and he really worried about the safety issues. I think that is where most of the opposition came from, a place of worry about the safety of the baby and I. My mom and sister were very supportive, and that meant a lot to me. I think too that it was a little bit of a shock for people to hear about it; most people just assume that now days babies are born in the hospital, and it takes them a moment to process the idea of a home birth. PW: Did this impact your decision at all? K: If everyone had been against it, it would have maybe influenced my decision. But, no, I really felt like it was truly the best decision for the baby and I.
PW: What were your fears and concerns, and what were you excited about? K: The individual care and attention from the midwife was so nice! She came to the house for the checkups, and my daughters could be here for the appointment. It was so much more relaxed, and I just felt calm and confident in her ability to take care of me and my baby. I still had hesitations, the what if’s were always in the back of my mind. But, I think that every mother has some fear before giving birth, no matter where she is having her baby. I had confidence that my midwife could handle any emergency, she had medicine for the baby and I as well as oxygen. And, we lived 10 minutes away from the hospital. We had previously agreed that if the midwife or I had any concerns we would immediately go there. She was in good standing at the hospital and had even worked on the labor and delivery floor. PW: Walk us through the day your third child was born. K: The day my son was born I went into labor at 4 in the morning and, even though I had never been allowed to go into labor on my own, I knew this was it. I assumed it would be relatively quick and around 7 hours like my daughters. I called the midwife and she said to call when the contractions were 10 minutes apart. My husband stayed home from work and my girls went to a friend’s house. About 12 hours later things started to change, I just knew something was different, and I called my midwife. She had come about a week earlier and set up a birthing tub in our extra room, and we filled it up with warm water. I sat in the tub and worked through the contractions. Even though I didn’t end up delivering in the tub it did help ease the labor pains, and offer some relief from the contractions. During this time I thought about joy and light, keeping the images in my head and focusing on the words as I moved through the pain. The midwife and her partner (a non-certified midwife) came over and helped with the labor. I kept on thinking the baby would come any minute and he just didn’t come! I had expectations that he would come much quicker, and I was starting to get tired and frustrated. I even said “I’m done, just take me to the hospital, and cut me open.” At that point the midwife gave me a light snack and tea and honey and offered to check me (they only check when asked). They realized my water hadn’t broken so she offered to break it, and I said “just do it.” It got really intense as soon as she broke my water. I was struggling to push him out but, the midwife was very supportive and through her suggestions we were able to get him out. Within 30 minutes of my water being broke, my son was born. He was 9lb 4oz! It was such a sense a relief to finally hold him! All in all I was in labor about 20 hours. The midwives took care of the entire cleanup, and we chose not to save the placenta. PW: Now that you reflect on your experience what would you change, if anything? K: I think I would change my expectations. I have come to realize you just aren’t in control, God is. There are just so many factors that can’t be planned, even with a home birth. I was so frustrated when my son wasn’t born in 7 hours like his sisters, and I lost faith in myself. Thankfully I had a caring midwife who kept me focused. You have to let go of your plan and truly trust in your body to take over the process. I also wish that I had thought to have someone there as a photographer. I regret that I don’t have any pictures to help me to remember such a special moment! K: There are so many things to consider (medical issues, location, insurance) when you choose how to birth your baby, and it is such an individual choice. I don’t feeling comfortable saying everyone should have a home birth. But, I encourage anyone who is interested to not be afraid. Make sure you have a certified midwife in good standing at the hospital, and have a plan in place for emergencies. No one wants to think about it but, you need to be prepared if things don’t go as planned. This will keep both the baby and mom safe. Do your research; use the internet, magazines, call the hospital, and talk to other women in your area. My insurance covered my home birth but you need to check what your policy says. If you are receiving a lot of negativity, just understand that it usually comes from a place of love and concern. Trust your intuition and take some time to really think about why you want a home birth. I also think that women need to realize you have choices in the hospital as well. I see that more now, as I reflect on my first two birth stories, I could have taken a more active role if I hadn’t felt so intimidated. PW: How can friends support a woman that is having a home birth? K: I think it’s no different than supporting a woman that is about to give birth at the hospital. Just let them know they can do it and encourage them! PW: How has your decision impacted you as a woman, wife, and mother? K: I would have to say it empowered me to believe in myself. I know that when things got tough I can push on through, and that when I set my mind on something I can accomplish it. It taught me to follow my intuition as a mother and woman, and it renewed my confidence that my body knew what it was doing. It also strengthened my faith in God, that His plan will come to pass. K: I just wanted to share with other women the five things that have helped to keep me strong as a woman, wife, and mother. One thought on "Prairie Wife of the Week December 27, 2013"